Back when it was announced that Heath Ledger was going to portray the Joker in Christopher Nolan’s The Dark Knight, many fans scratched their heads. As it turns out, they weren’t alone. According to Jonathan Nolan, both he and Warner Bros. didn’t get the casting right away either. However, once the first trailers were released, all doubt was erased and the rest is history. Ledger’s Academy Award winning performance is now seen as one of the best portrayals of the Clown Prince of Crime. Jonathan Nolan recently sat down for a roundtable discussion with other producers in the entertainment industry. In addition to Nolan, Shawn Levy from Stranger Things, Salim Akil Jason Blum, Melissa Rosenberg, Robert Kirkman, and Simon Kinberg were all present as well. The discussion ultimately led to being asked if any of the producers had ever taken fan suggestions into account while crafting any of their projects. Nolan decided to share the story about his brother Christopher Nolan’s decision to bring on Heath Ledger as the Joker for The Dark Knight. Instead of taking fan suggestion, Nolan went the complete opposite direction. Christopher Nolan wanted an actor that the fans didn’t know that they wanted. Nolan wanted The Dark Knight to offer up surprise for long-time Batman fans, which is exactly what happened in the grand scheme of things. But at the time, even Jonathan Nolan was baffled by the decision to choose Heath Ledger as the Joker, a sentiment that fans and even the studio echoed. Nolan had this to say. Heath Ledger certainly did tear into his role in The Dark Knight, making the Joker his own. The results are a unique brand of unhinged that doesn’t come off as contrived or forced, instead, it’s just what Christopher Nolan wanted, which was a serious actor who would come in and “tear this role to pieces.” Now, all other actors who have the pleasure of stepping into the role have to measure themselves up against what Ledger created. 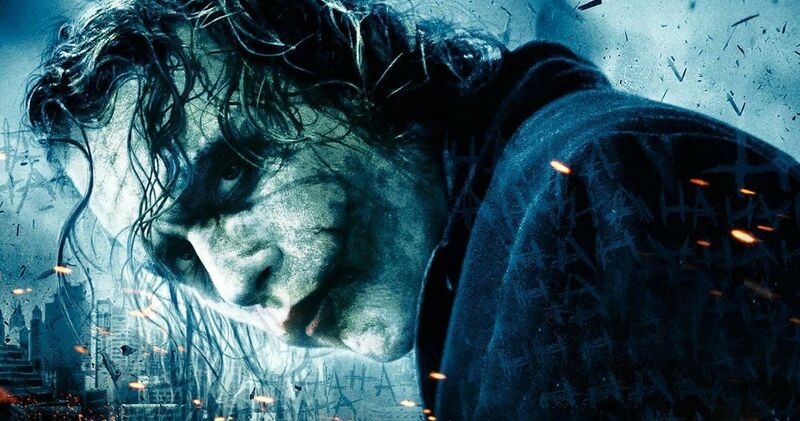 Sadly, Heath Ledger passed away shortly after the filming of The Dark Knight, which has only added to the legend. Since then, we’ve seen Jared Leto, albeit briefly, take on the role of the Joker, and now Joaquin Phoenix is next with Todd Phillips’ Joker movie. Leto’s version of the Clown Prince of Crime was polarizing, so all eyes are on Phoenix to see what he does with one of the most iconic villains in history. This story originated from Heroic Hollywood.